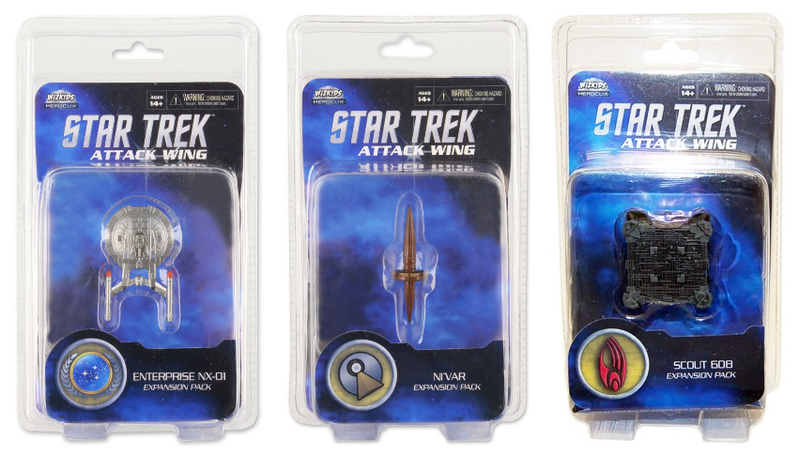 Wizkids have announced four new waves of model ships coming next year in their Star Trek miniatures game, Attack Wing. Continuing their monthly releases, March next year will see three new ships in wave thirteen, with another three due each month following up until at least June, with wave sixteen the furthest ahead so far solicited. 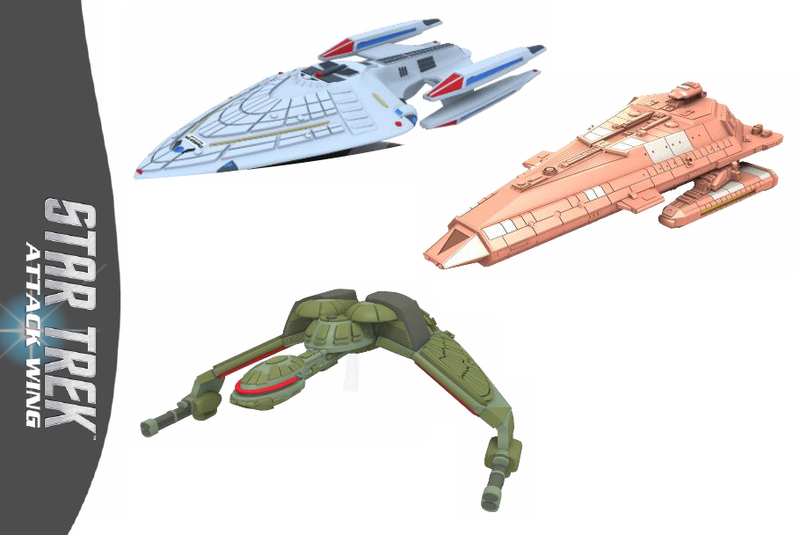 As is typical of the series, the new ships are pulled form across the franchise, including designs that have rarely, and indeed sometimes never, been released as models before. 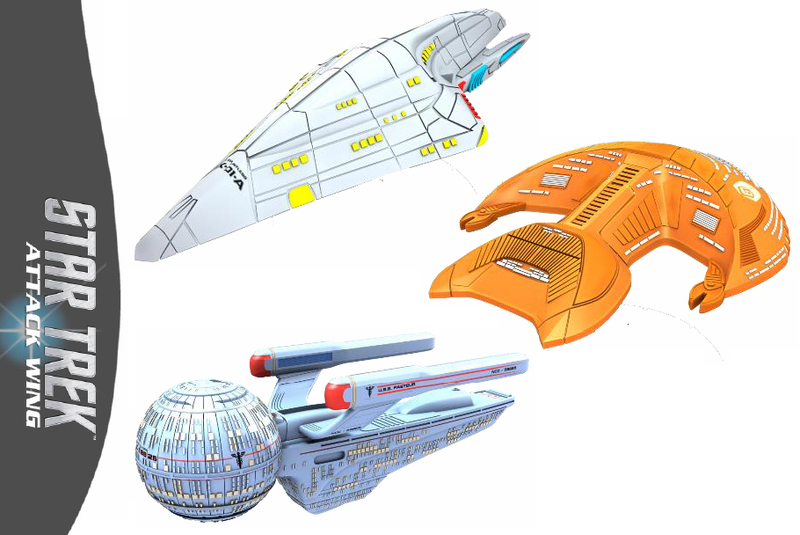 March's wave thirteen will include the refit Constitution class mirror universe ship ISS Enterprise, the Cardassian Galor class Reklar, and a Gorn ship. This will be the first retail model of the Gorn design which appeared in the remastered version of Arena. Although the same model has been available already this year in limited quantities as an organised play event prize. 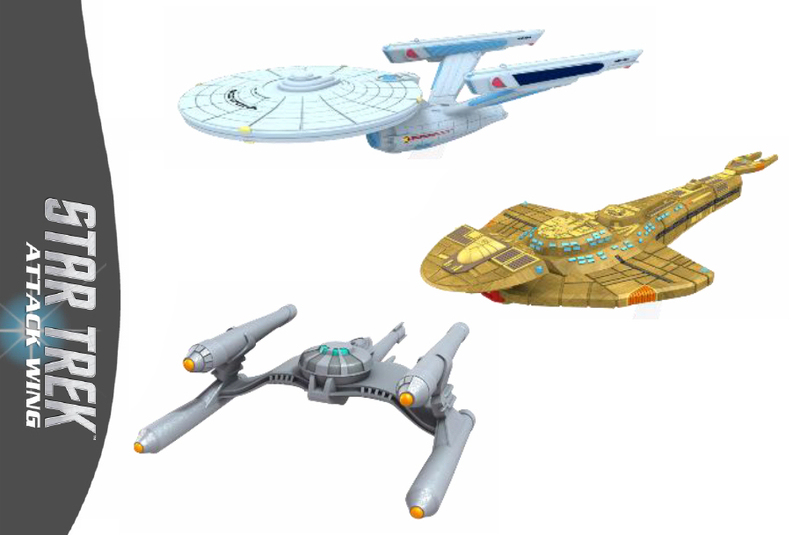 Wave fourteen in April will include the Krenim Temporal Weapon, another mirror universe ship, the NX class ISS Avenger, and the Oberth class USS Pegasus. This is only the second ever rendition of the Krenim ship, following the recently released Eaglemoss version. 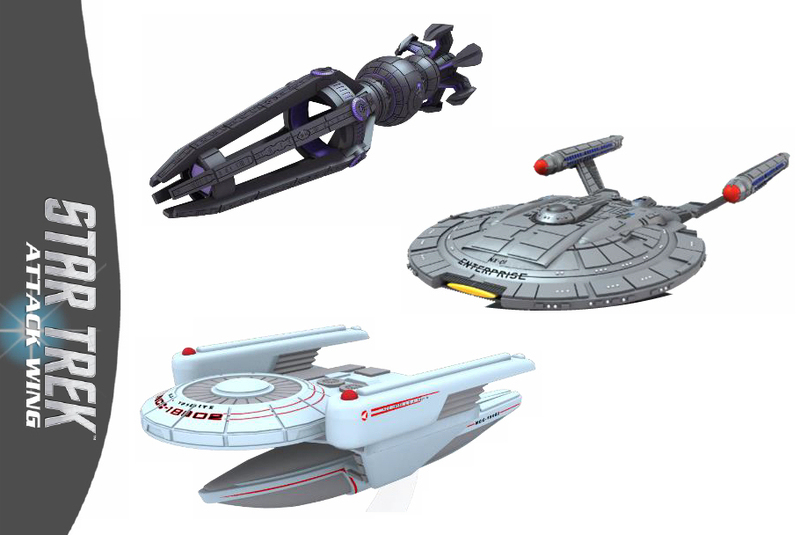 In May wave fifteen includes the USS Prometheus, the Bajoran ship Ratosha, and the Klingon Bird of Prey IKS Ning'tao. The rare ship of this bunch is the Ratosha, which has been seen as a model just once before, also as a gaming miniature (indeed probably the very same mold) in the Tactics game. Wave sixteen in June will see the "USS Dauntless", the Ferengi D'Kora class Marauder Kreechta, the Olympic class USS Pasteur. And again here Eaglemoss have just narrowly beaten Wizkids, in getting the first ever model of the USS Dauntless out already. Wave seven images via Wizkids, Boardgame Geek, and Universe Games. 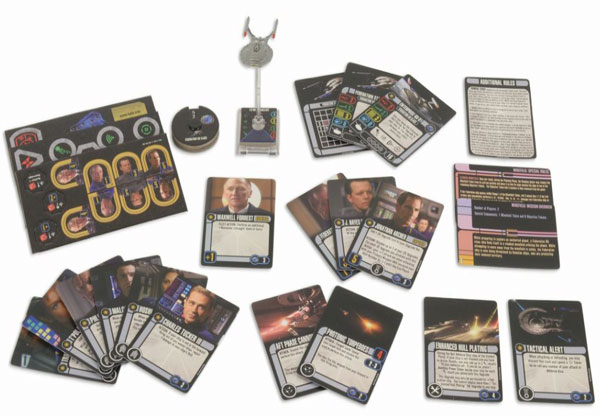 StarTrek.com meanwhile has posted previews of the cards included with all three, check them out: NX-01, Ni'Var, Scout Cube.